Stowe, Vermont, Jackson, New Hampshire, Big Bear Lake, California, Camden, Maine, and….. Haverhill, Massachusetts made Expedia’s 2018 list of 17 of the Most Beautiful Winter Wonderlands as determined by California-based writer Lily Rogers. The Heartbeat of Haverhill learned of that designation from Haverhill’s local news provider WHAV.com. Haverhill got high marks for overall beauty, and winter activities with specific shout outs to Winnekenni Castle and its grounds, SkiBradford, frozen lakes and trails and sleigh rides. We also got shout outs for dining options and a downtown punctuated with lots of park benches and interesting and historic buildings. Both the urban lover and the rural enthusiast have places to enjoy in our city. We only had medium points for snowfall, but 2018 is really keeping us decorated in white. What to do with all that snow? It is little wonder that after every snowfall of a certain kind and intensity, our population increases (and no, we are not talking about what you may be thinking about). THOH is referring to those ephemeral beings – snow people. With a little thinking and a hint from Haverhill’s first lady Martha Fiorentini, we set about town, camera in hand for our first ever, Snowman Safari. We had little time to spare since weekend temps may be teasing the 60-degree mark. Left leaning snow person – a Democrat? Party down snow dude. New albeit temporary Ward Hill resident. Snowman Safari only works when our creative residents put in the effort to make all creatures of snow. But we certainly do have a great number of snow artists. We drove back and forth along major roads hoping to find out photo prey. Haverhill is over 30 square miles so we can use the help locating them. How many Snowfolks can you find and photograph? THOH suggests that anytime the snow is right, we all get out and make snowmen or snow animals or snow structures. And then send them to the Heartbeat of Haverhill for inclusion in this post. It would be beyond awesome to have a snowman in every yard. Haverhill could become unique with snowman making and viewing as part of the winter experience here in the City. And maybe that could bring about viewing parties aboard horse drawn sleighs, like the rides offered by Kimball Farm And maybe Kimball Farm could build its own field of snow beings, because if you build it we will come. Put on your mittens, Hillies, and start rolling snow! That is a fantastic idea. I love it because anyone can do it. You’ve inspired me, now I can’t wait for it to snow again. Yay! Actually the snow is pretty good right now. I’m thinking of crafting a neighborhood snow dinosaur. Thanks Mark! I certainly have a great place to call home. 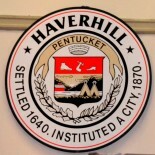 This entry was posted on January 19, 2018 by Brain4Rent/THoH in #thisisHaverhill, Alison Colby-Campbell, Brain4Rent, City of Haverhill MA, family Fun in Haverhill, Haverhill Attractions, Haverhill Parks and Recreation, Haverhill winter activities, Haverhill Winter scenes, photography, Seasons in Haverhill, Snow, Snow terrain park in Haverhill MA, Uncategorized, Winter Photography, Winter sports in Haverhill MA and tagged Alison Colby-Campbell, Haverhill Downtown, Haverhill MA, Kimball Farm Haverhill MA, Merrimack River, Nature, photography, SkiBradford, Snowmen, The Heartbeat of Haverhill, Winnekenni Park, Winter.